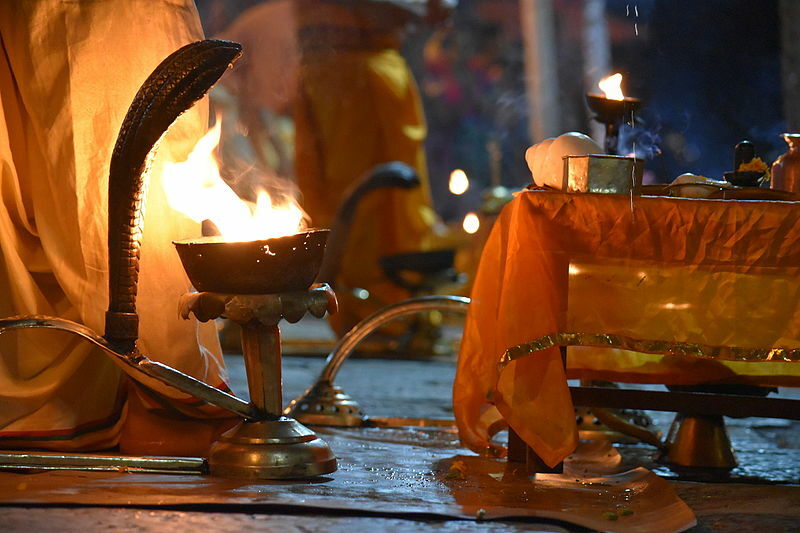 Astrology & Sacred Sites: The Pashupatinath Temple in Kathmandu. On the astrogeographical position of the famous Shiva temple in the capital city of Nepal. 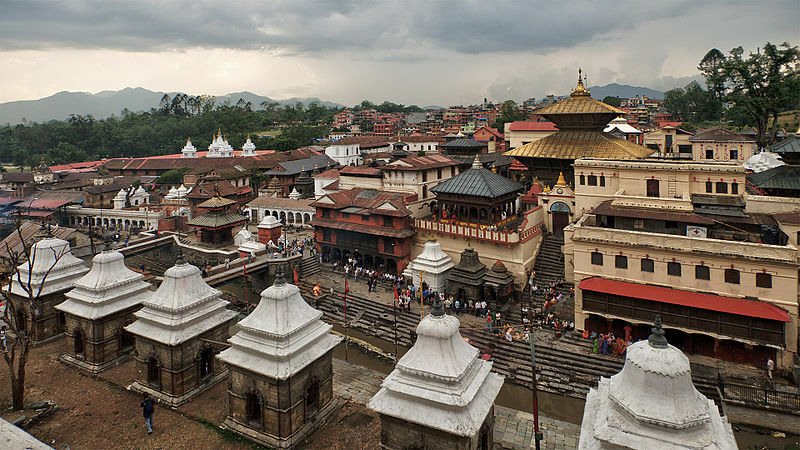 Pashupatinath Temple in Kathmandu, Nepal is one of the oldest, most famous and most important Shiva temples on the indian subcontinent and ranked as the most important temple in the Kingdom of Nepal. Paśupati the “Lord of all animals” is seen as an avatar – an incarnation of the Hindu God Shiva. 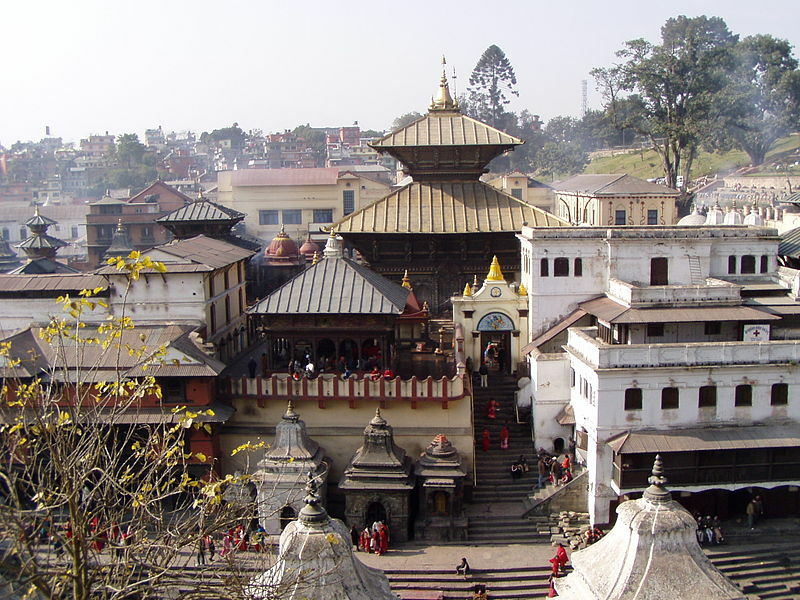 According to the mythology of the Pashupatinath Temple Shiva incarnated and lived in the Kathmandu valley as a deer in the form of Pashupatinath. The term paśupa “cattle-keeping” appears in the Rigveda in relation to a solar deity named Pushan. The aspect of the deer as a herbivore, gregarious animal and living in the same natural habitat as cows relates it to the role of earth sign Taurus in astrology. The central main temple building is built in Nepalese Pagoda Style. Western Entrance to Pashupathinath Temple in Kathmandu. The prominence of Nandi Shiva´s guardian bull at the entrance to the temple is symptomatic for the astrogeographic position in Taurus the sign of bulls and also for the location on the first degree of Capricorn the astrological equivalent for a guardian between 2 different worlds. Astrogeographic position for morphognetic field level 4 which describes the atmosphere of the temple itself: the central temple & lingam is located in the first degrees of solid, strict, conservative, history orientated, hierarchical earth sign Capricorn sign of rocks, stability, government institutions. 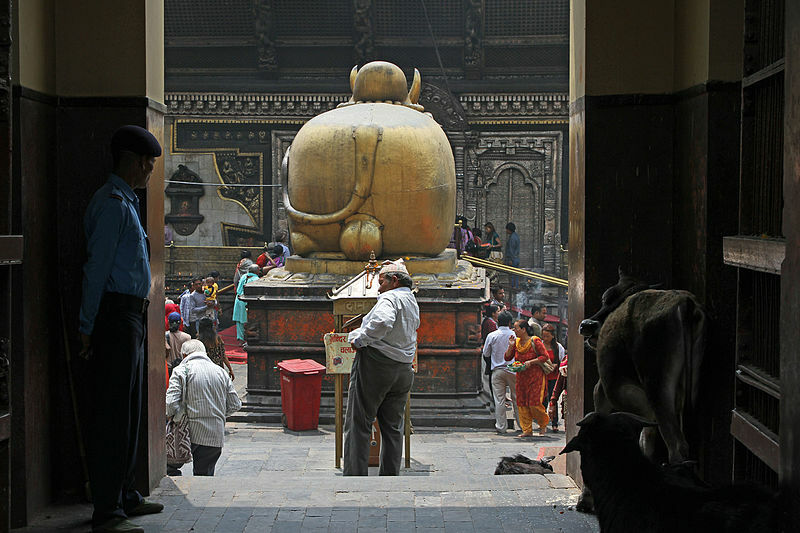 The position of Nandi Shiva´s guardian bull next to the western entrance of Pashupatinath marks the exact cardinal width of 30°Sagittarius/0° Capricorn, so that the north part of the temple is located in fire sign Sagittarius a natural indicator for cremation grounds. Statues next to cardinal divides have the role of guardians This is particularly important if located in between Sagittarius the sign of searching, hunting and thinking as an indicator for the mental plane and Capricorn the sign of the acceptance of abstract and supra-individual concerns, authority and responsibility as an indicator for the spiritual plane. Shiva`s bull so takes the role and place of a guardian between two worlds. The 2nd coordinate which is valid for the whole of the temple area lies in earth sign Taurus the sign of the earth, grounding, growing roots, control over territory, food, agriculture, wealth, market places, local energetic centers & and indicator for the deer and cow legends around the origin of the temple deity Pashupathinath. The aspect of the deer as a herbivore, gregarious animal and living in the same natural habitat as cows relates it to the role of earth sign Taurus in astrology. The superlarge, monumental shape and the intensely prominentt position of Shiva´s bull Nandi at the entrance of the main temple gate is also a clear hint at the importance of the sign of Taurus at the place. The astrogeographical combination of Taurus with Capricorn is highly typical for central government temples dedicated to fertility rites especially in successful agricultural societies. Such temples serve the stabilization of the governmént and the system installed by the ruling classes. Two major examples for this type of temples dedicated to the annual fertility rites conducted by the Pharaos or Chinese Emperors located in Taurus with Capricorn are: The Karnak Tempel of Amun Re in Luxor and the Tian Tan Temple of Heaven in Beijing. Astrogeographic position for field level 3 which describes how the the larger area around the central shrine of Pashupatinath Temple with the ashrams and other temples and buildings is embedded in the surrounding and the town of Kathmandu: one of the astrogeographical coordinates lies in dynamic fire sign Sagittarius the sign of shamanism, sacrificial rites, the priest castes, brahmins, initiation, traveling and philosophy. The second coordinate is in relaxed, mystic, spiritual water sign Pisces the sign of reconnection with the spiritual plane, subtle peception, mystification, illusions, the dream world, intoxication and most important, supportive and stimulating astrogeographical position for temple sites.